During the winter months for me I tend to notice I always start to get really dry skin, not too sure if its the weather that's doing it or its just the way my skin is. But either way it drives me mad it's just like why can't our skin just be one kind of way instead of a combination of different ways! Whilst having a clear out of my bedroom I found a little gift box that had a few body moisturisers, shower gel and a few other bits in that I got last Christmas, so thought it was about time I started using them before they went to waste haha! This body butter smells soo nice, it smells really fresh aswell and with some body butters they can leave your skin feeling pretty heavy if you get what I mean?! But this particular one feels really light and leaves your skin feeling soft for ages whilst also leaving a nice fresh but not too in your face scent. I also love the texture of it as its not greasy unlike some body butters are its just nice haha, yep I know I'm crap at explaining some things lol. 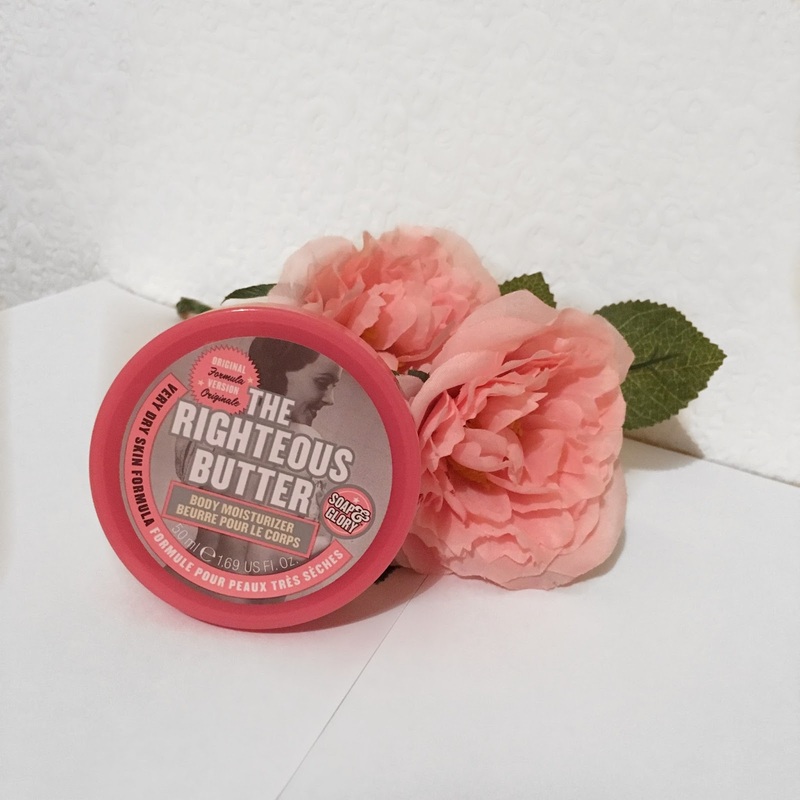 I haven't used many things from the Soap & Glory range, but after using this body butter I'm definitely interested in finding out more about this range and looking forward to trying some more of there products. Are there any products in the Soap & Glory range that you enjoy, and would recommend to me?